October | 2017 | Cooking is Fun … Really!! I haven’t had a lot of inspiration for cooking in the last couple of weeks, and I’m just getting over a bad cold. A woman’s got to eat, however. Luckily, I threw a few things together before it got too bad. I used the same basic dough recipe that I made those pumpkin and kaiser-shaped rolls with, but I left out the ground oats and threw in an egg and 1/4 cup of sugar. 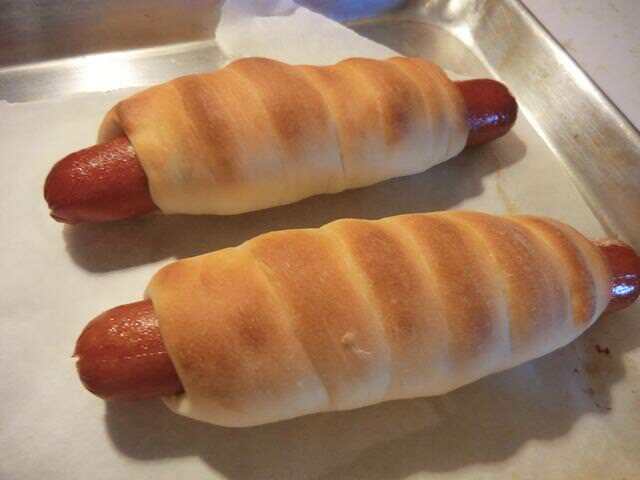 About 1/3 of the dough (300 gm) was rolled out and cut into six strips to wrap around Jumbo hot dogs … for pigs in blankets. NOTE: Shaping and baking instructions found at link above. 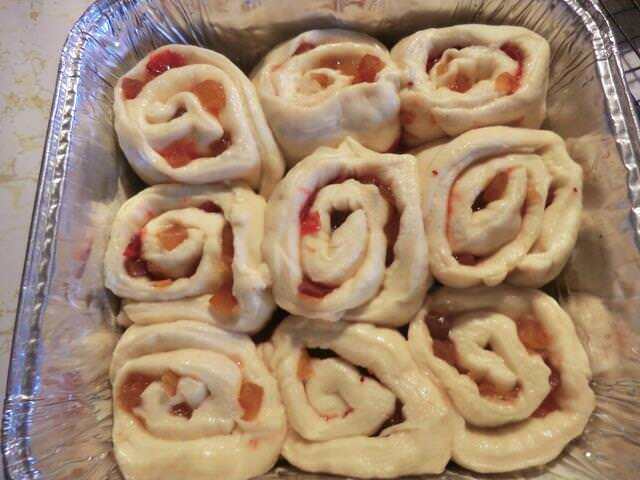 I was going to make caramel rolls with some of the remaining dough but it turned out I didn’t have any caramel sauce in the fridge (just fudge sauce). So I got creative with the leftover cranberry sauce in my fridge and some quince jam from the pantry. 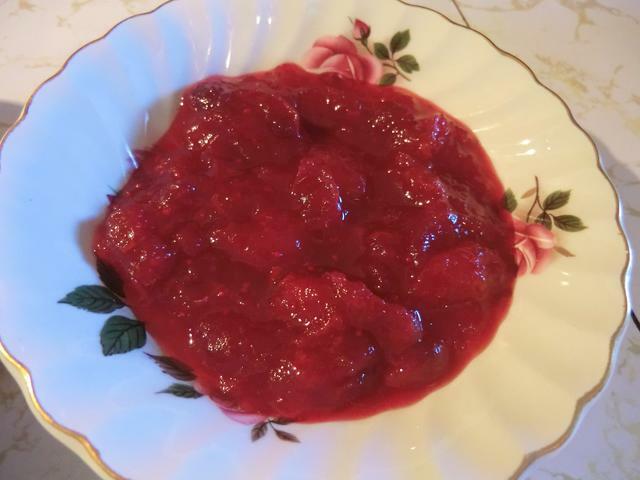 I transferred some of the cranberry sauce onto the quince jam portion, cause there was just too much sauce to roll up without it all oozing out. 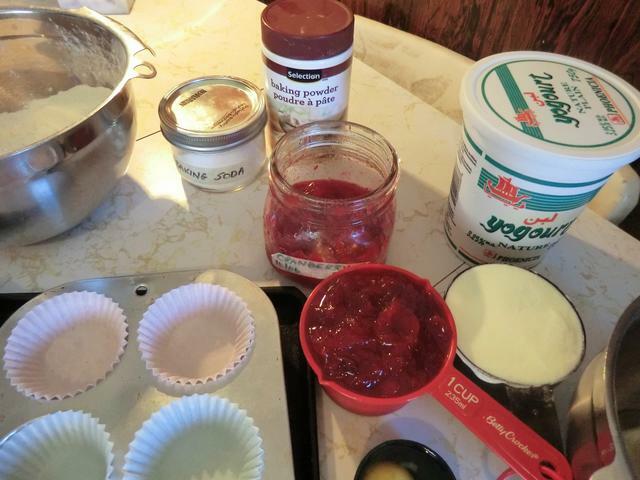 Originally, I was going to make two distinct fillings. 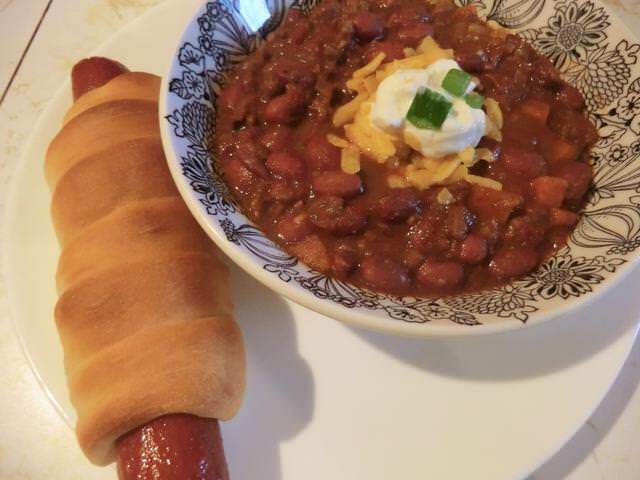 Pantry chili with veggies from the crisper drawer and canned small red kidney beans and diced tomatoes (with herbs and spices). 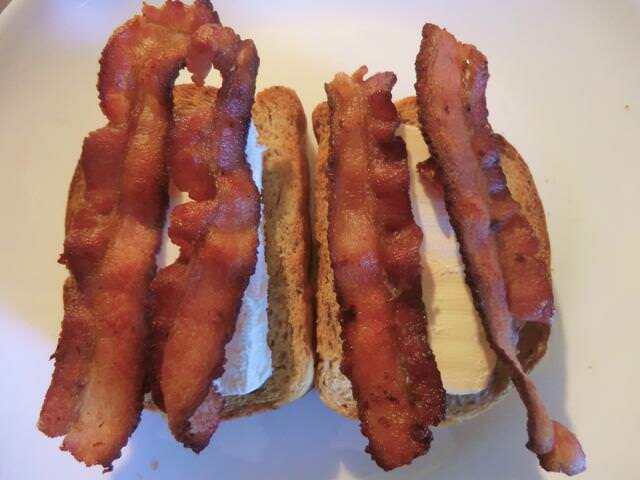 Served over or with those piggy buns. Pasta is always a quick meal like this Shrimp aglio e olio over leftover linguine. Sometimes finely minced garlic sauteed in olive oil is all you need to dress your pasta. And a sprinkle of pepperoncini (dry hot red pepper flakes). 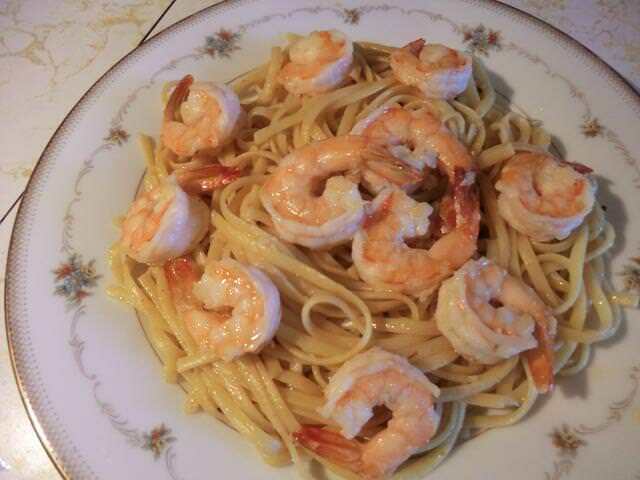 Cooking the pasta takes longer than cooking the shrimp and making the sauce. 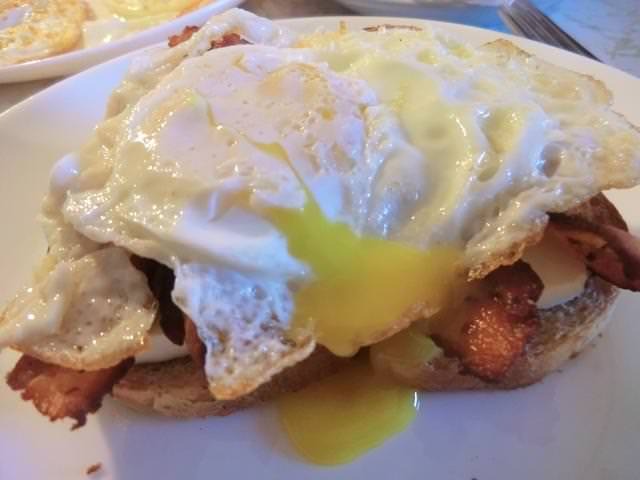 Brunch – I love fried eggs over easy and bacon. For breakfast, lunch OR dinner. And some sort of dairy … like cottage cheese, or cream cheese if I can’t get that. 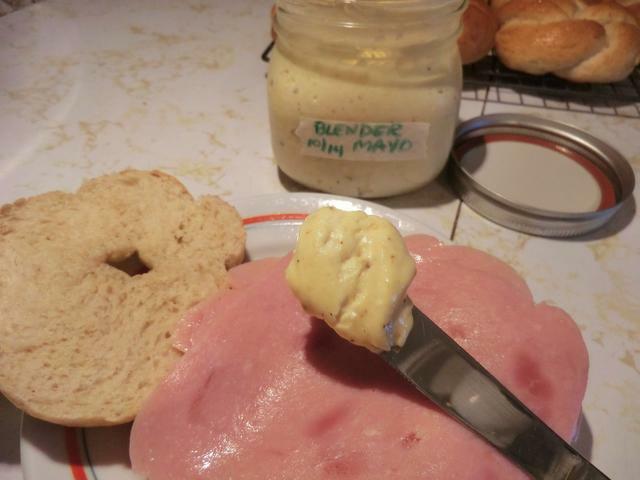 Sometimes I pile it on top of toasted home made bread. There’s still the weekend left for more cooking, but I think I’ll wrap things up here. 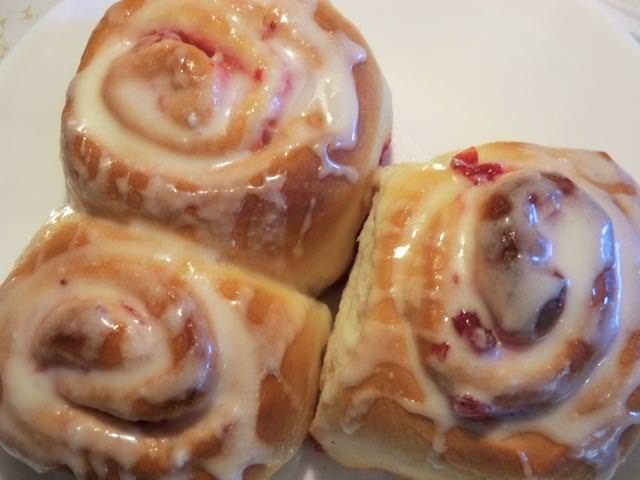 Another use for the home made (or bought) cranberry sauce in your fridge or pantry. 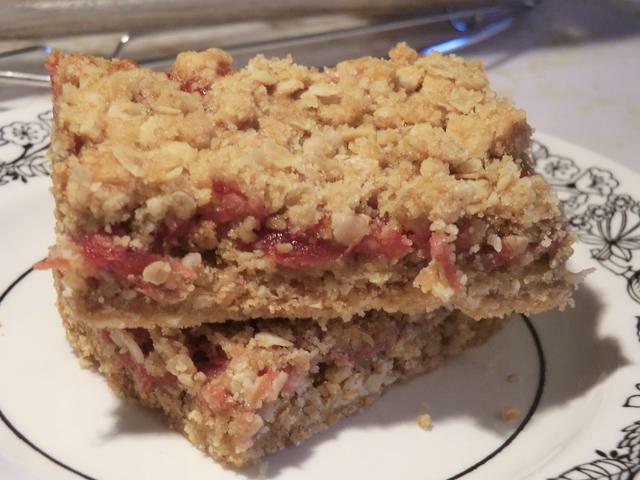 There are a lot of recipes for these bars, on line. I found this one on the “Cook the Story” blog. 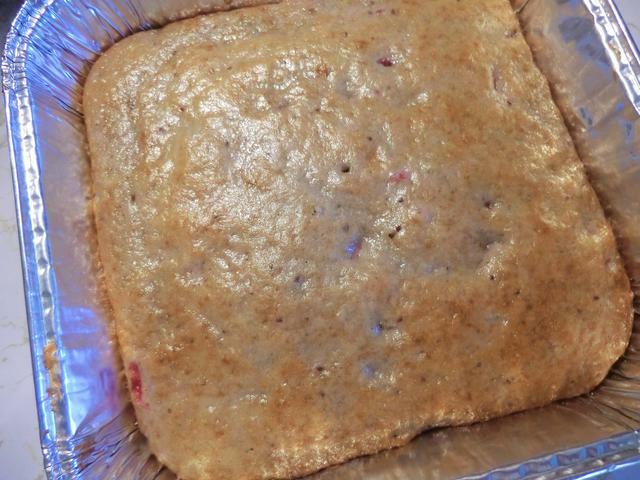 Instead of a full tray (9″ x 13″), I made a half batch in my 8″ x 8″ glass pan. I made no other changes. Parts of the world need rain but here, in south-western Ontario, we’ve had rain 4 out of the last 5 days, including this weekend. A bit of sun would be greatly appreciated. 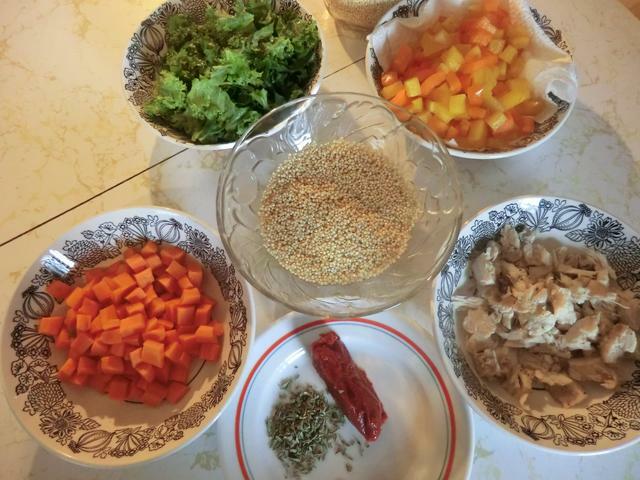 Since I have lots of food in the freezer, I decided to take a break from cooking … though I did want to use up the last few leaves of kale in my crisper, and some of the sweet peppers I bought on sale (4-pack for $1.88) since areas were getting ‘soft’. The carrots are getting a bit tired too. And, for a change of pace, I soaked some white quinoa to add to the soup in place of rice, potatoes or pasta/noodles. 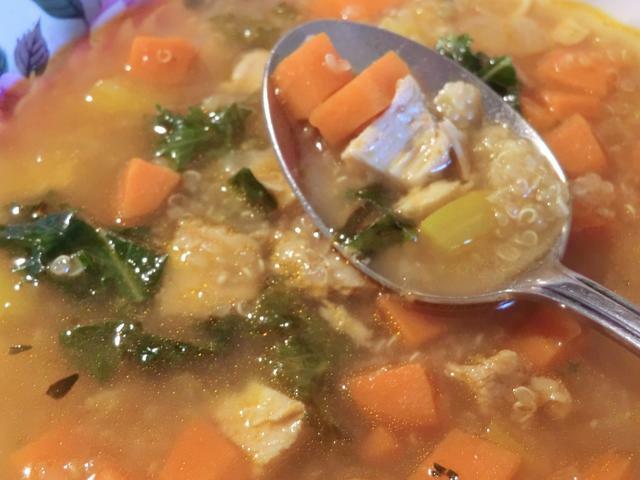 The result, a Veggie, Turkey and Quinoa soup with the tiny bit of turkey breast left in the fridge after eating it for most of the past week. 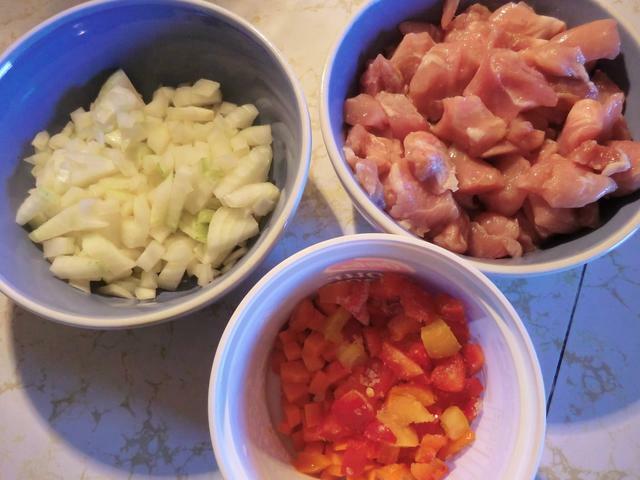 If you have some diced tomatoes (canned or fresh) or marinara sauce, you can add that to the soup as well. I just had some tomato paste, so, with that, dried thyme and chicken stock, I made this delicious soup. 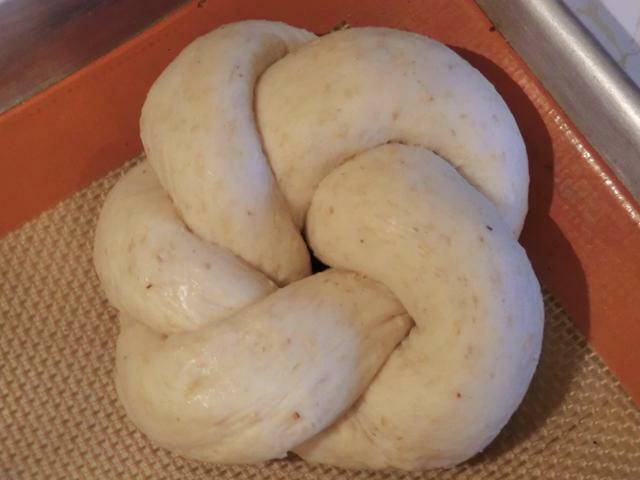 Work lunches need bread and since I prefer buns, I made a batch of yeast dough and played with the shaping. 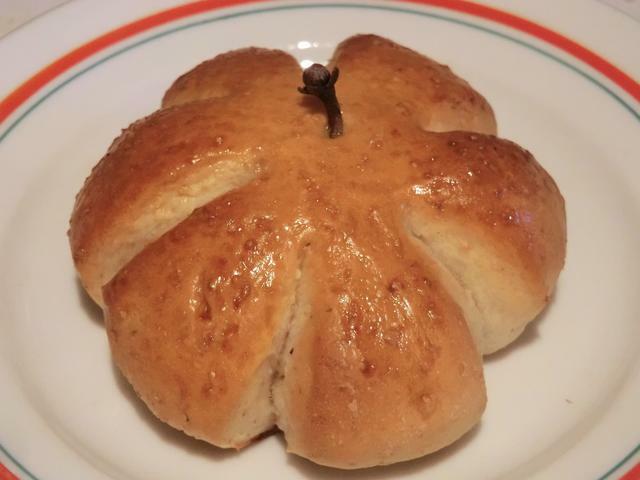 Some of it ended up as kaiser rolls (~70 gm) and the rest … well, with Halloween and Thanksgiving (US) ahead, and the Canadian one behind, I shaped some of the dough into pretty little pumpkins (~50 gm) with a whole clove for a stem. 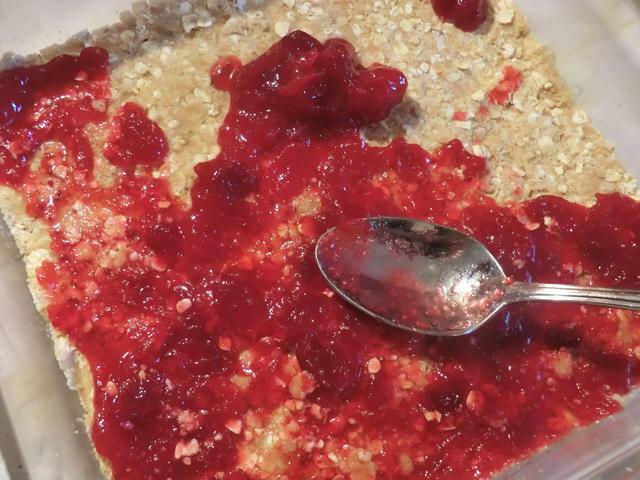 For a bit of texture/nutrition/fun, I added a cup of finely ground and sifted rolled oats in the dough in place of a cup of all purpose flour. Scald the milk in a pyrex measuring cup in the microwave. Stir in the butter and let cool until just barely warm. In a small bowl, combine the warm water and 1 tsp out of the total sugar. 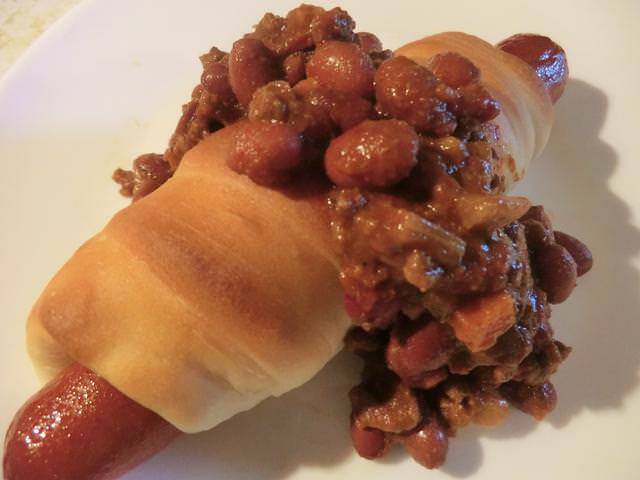 Stir in or sprinkle on the dry yeast. Let sit in a warm place to proof until the yeast is nice and foamy (5-10 min). 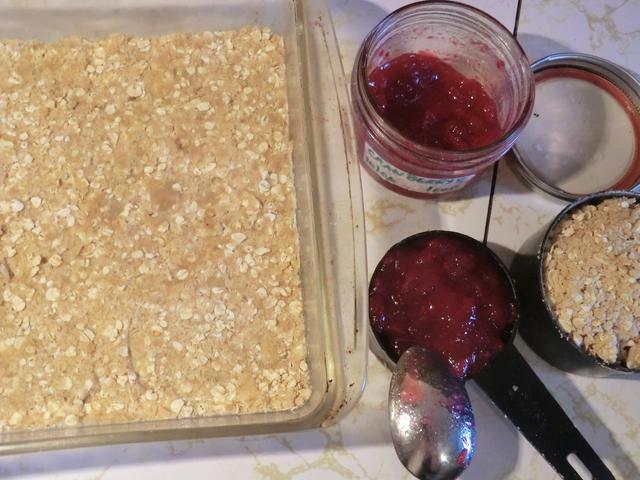 In a large bowl, combine 1 cup of the finely ground rolled oats, 1 cup of the flour and the salt. Whisk in the warm milk mixture and the proofed yeast. 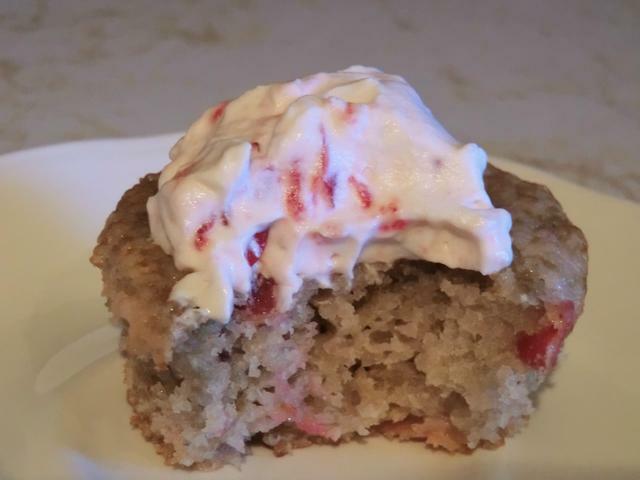 Beat well with a wooden spoon until you have a smooth batter. 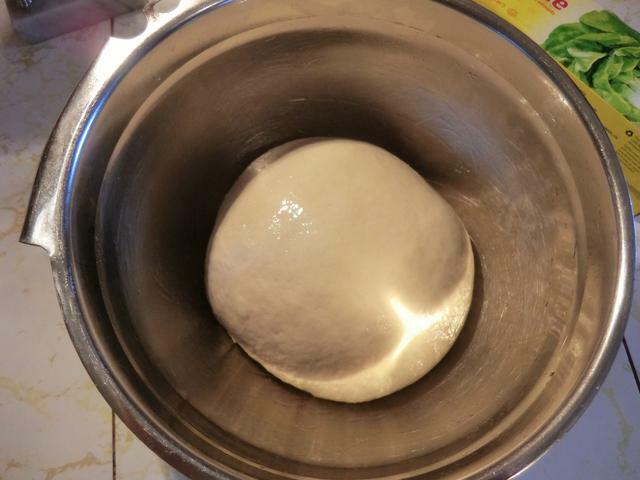 Gradually stir in the rest of the flour, starting with about 1/3 of a cup at a time, until it’s too thick to stir and forms a ball around your wooden spoon. Turn out the dough onto a lightly floured work surface, using part of the reserved flour. Knead for about 10 minutes. Cover with the mixing bowl, and let rest for about 5 min. Continue kneading for another 5 minutes until you have a firm but supple dough. 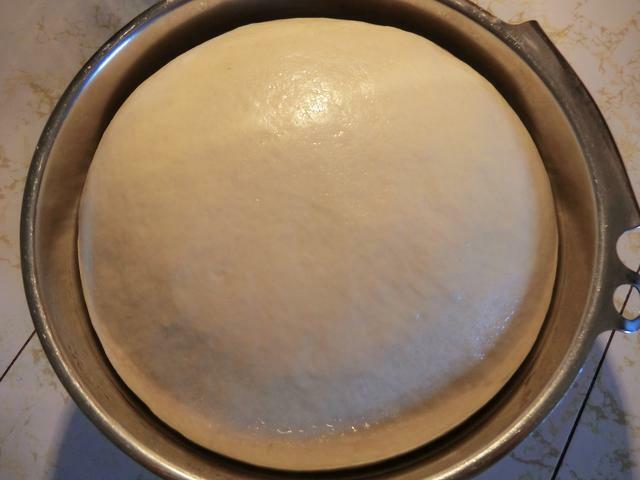 Shape the dough into a round ball. 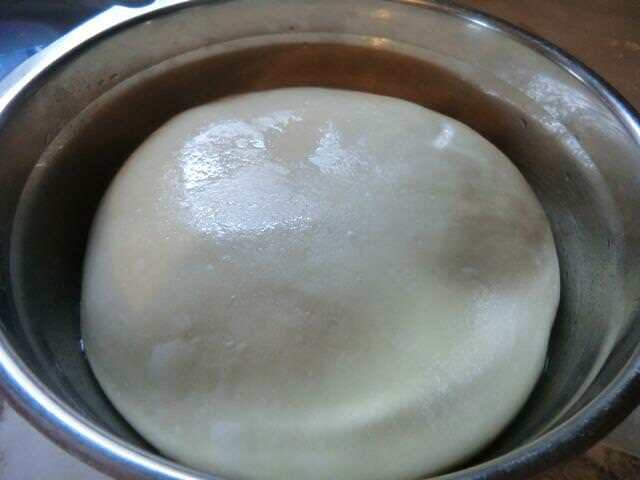 Add a couple of tsp of vegetable oil to a large bowl, place the ball of dough into the bowl and roll around several times to coat the ball of dough. 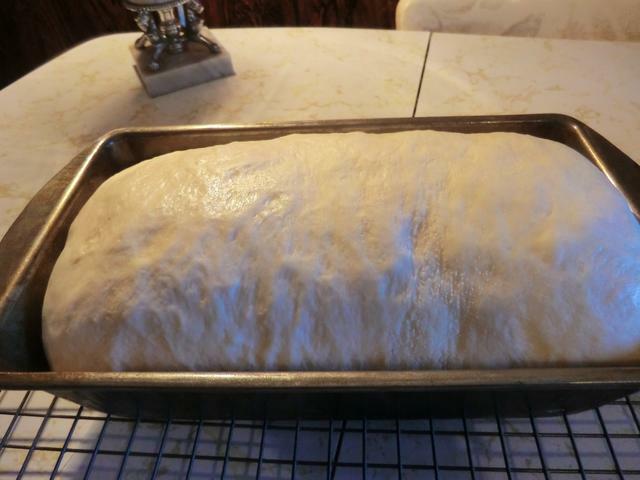 Cover with a sheet of plastic wrap or a damp towel (so the surface doesn’t dry out) and place in a warm place to rise until doubled, about 45 min. 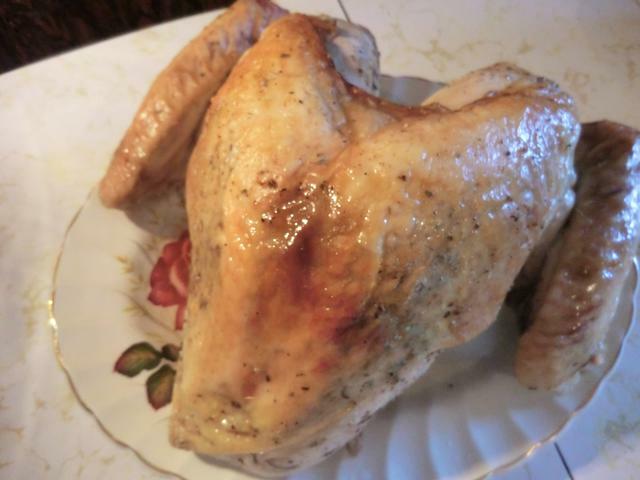 An electric oven with just the light on works well. 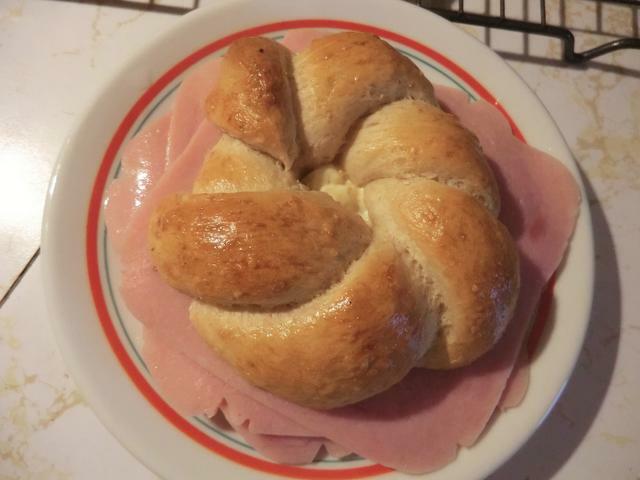 I cut the dough in half (>400 gms each), and shaped one half into 8 (~50 gm) pumpkin rolls and the other half into 6 (~70 gm) kaiser rolls. 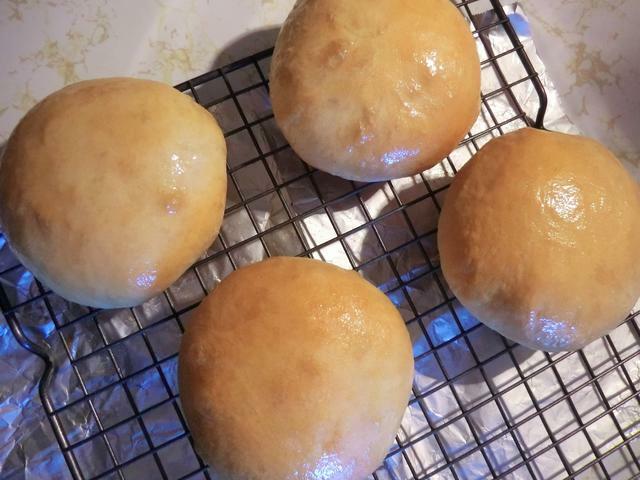 I let the rolls proof for about 30 minutes in a warm place, covered, then brushed the top with a whole egg beaten well with 1 tbsp of cold water, and then baked the rolls until well browned (15-20 min) and cooked through. 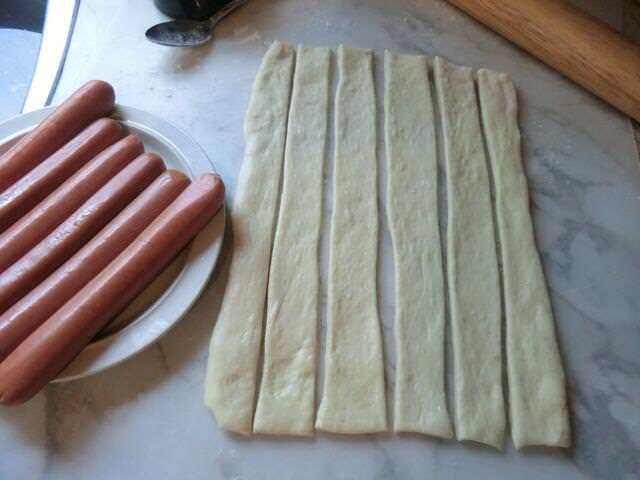 300 gms of dough was rolled out into a 6 inch by 12 inch rectangle and cut across the short side into 1 inch strips and then wrapped around each Jumbo hot dog. 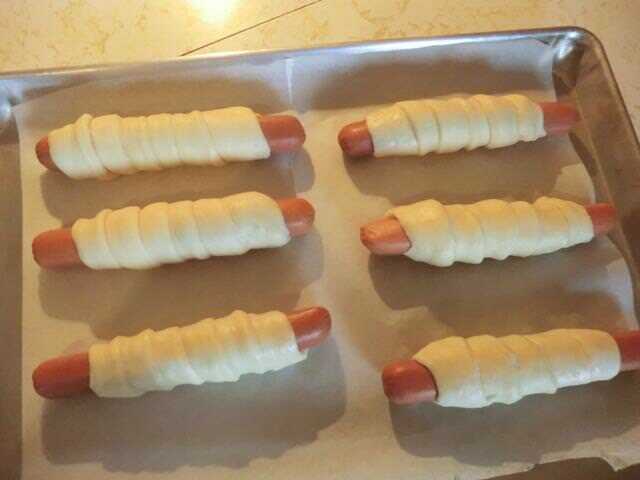 The wrapped sausages were placed on a baking sheet and baked, unglazed, for 15-18 min, until the top was a golden brown and the bottom was firm and lightly golden as well. 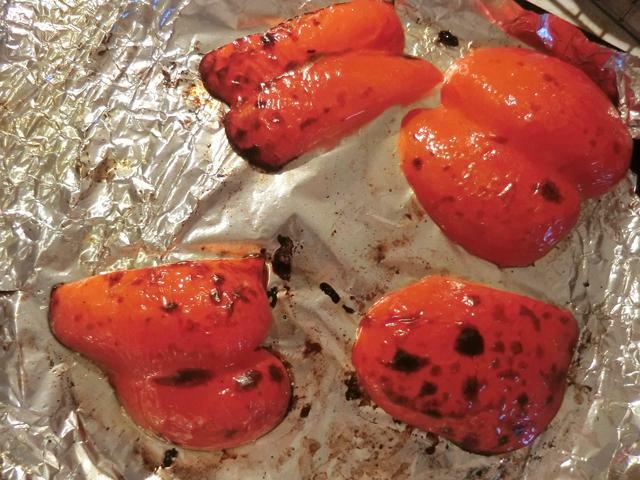 There was one red pepper in my 4-pack, so while my oven was still hot from baking the rolls, I cut it up, brushed some oil over the top, put the pepper on a lined baking sheet and then placed the sheet under the broiler to blister and turn black in places. 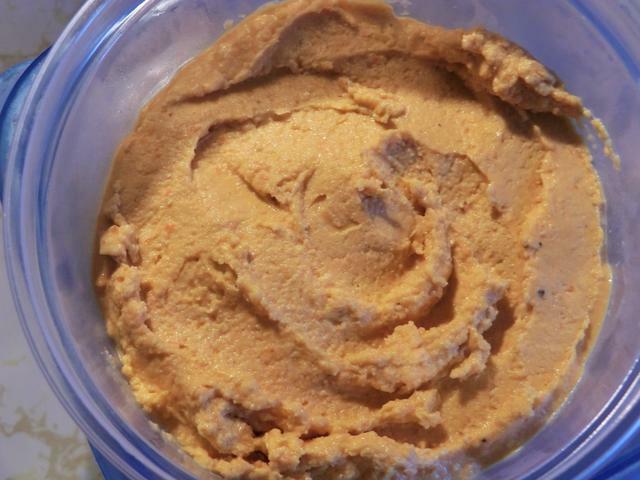 Peeled and added to a batch of hummus, it made for another great sandwich spread or dip for veggies or pita breads. 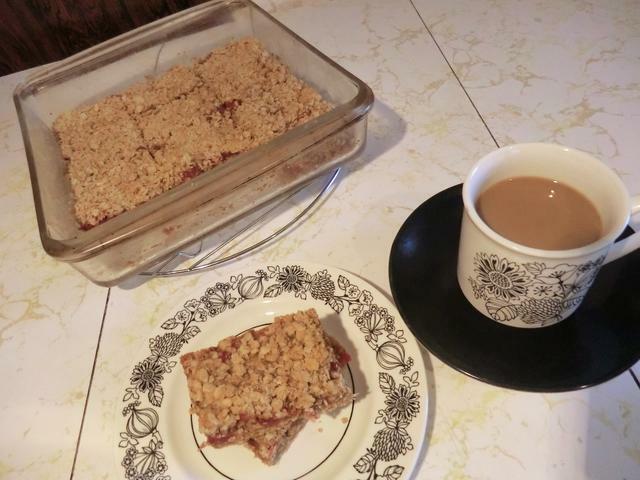 PS: I made dessert, too, but I’ll save that for a separate post. For Canadian immigrants in the 60’s, assimilation was the goal. The ‘melting pot’ was a thing, and my brother and I adopted the Canadian life style with enthusiasm. So, a traditional Thanksgiving meal was one of the must have’s at our house. Pumpkin pie and cranberry sauce weren’t a priority but the big turkey, mashed potatoes and gravy were front and center on our table. 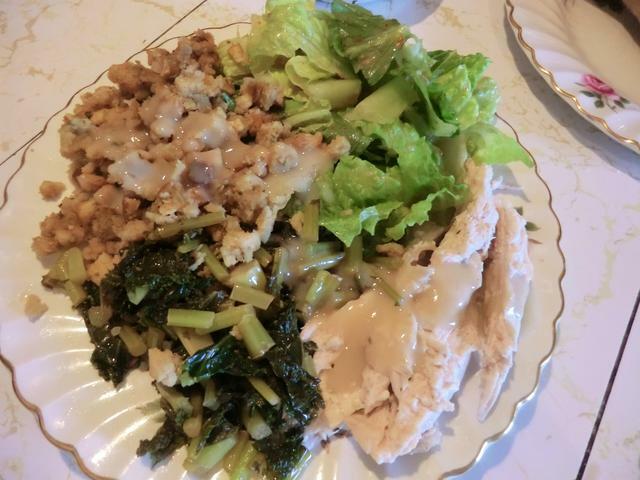 Stuffing … well my mom combined cooked rice, toasted and seasoned bread, sauteed onion and celery, turkey broth and turkey giblets into a dish that was the first thing I put on my plate. I even make it occasionally now that I’m doing all the cooking. I think my mom must have bought canned cranberry sauce at some point. But I don’t remember. What I DO remember is that my nephew, a picky eater, HAD to have traditional jelly cranberry sauce. My SIL, may have even brought the can to our house to make sure that there were no tantrums in those early days. Watching that solid mass SLIDE out was a vivid memory. When they took leftovers home, the cranberry sauce was always included because no one at OUR house was a big fan. 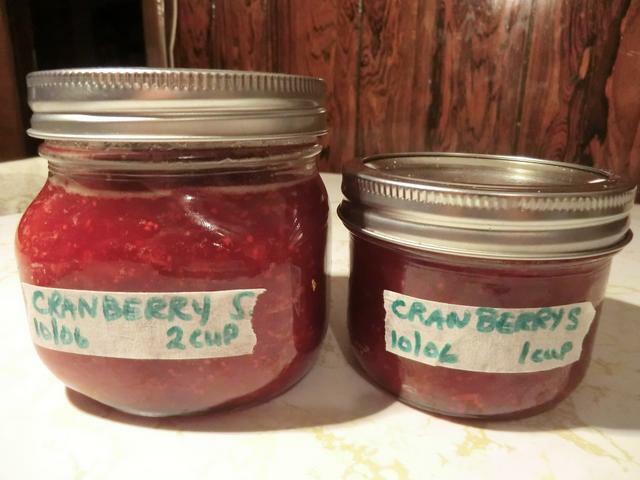 Fast forward to the present and at the age of 61, I made my first batch of cranberry sauce, with whole berries. In a medium sized saucepan over medium heat, dissolve the sugar in the orange juice. Stir in the cranberries and cook until the cranberries start to pop (about 10 minutes). Remove from heat, stir in the orange zest and place sauce in a bowl. 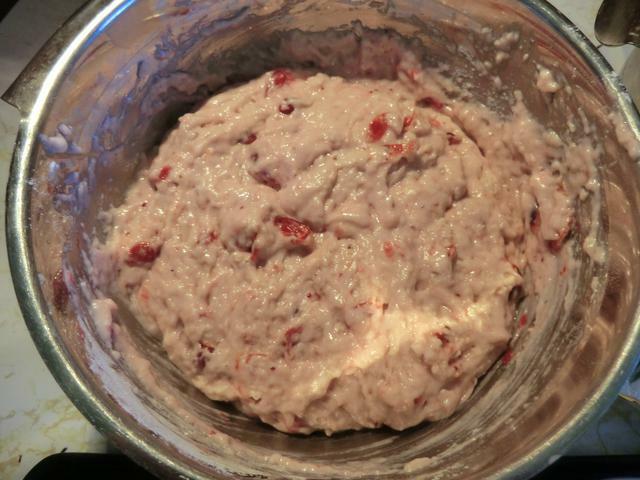 Cranberry sauce will thicken as it cools. 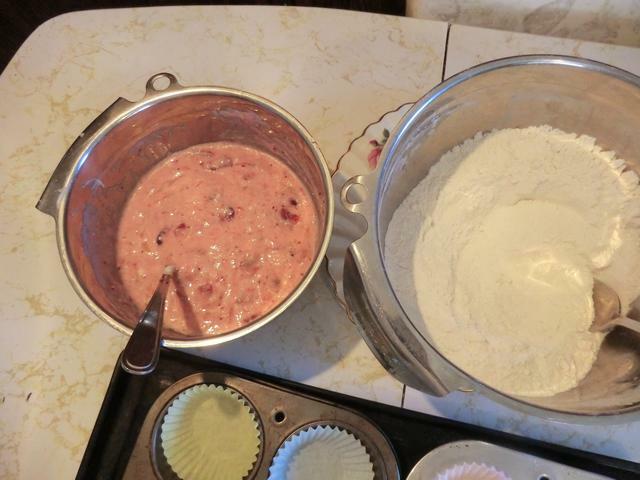 A moist and tender batch of Yogurt & Cranberry muffins, from “Cook the Story”. 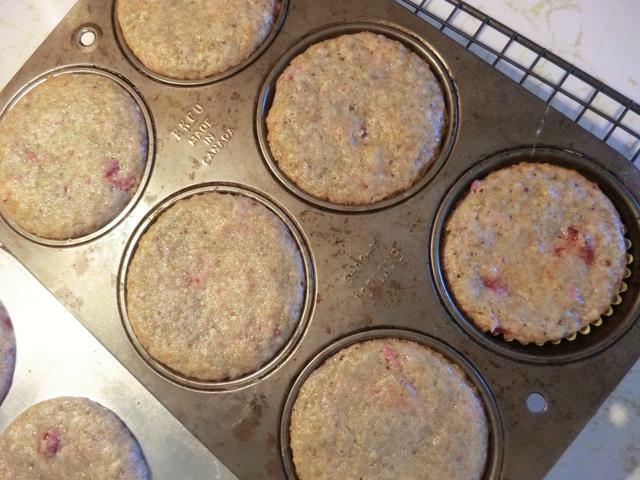 Instead of the large size that the recipe suggested, I made a dozen medium sized muffins and used the rest of the batter to make a tray that can be cut into bars. 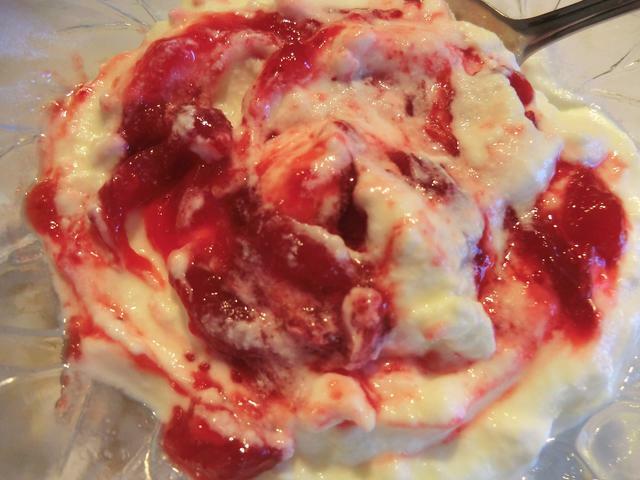 For serving, I stirred some cranberry sauce into sweetened whipped cream. Maybe I should try making a pumpkin pie next year. 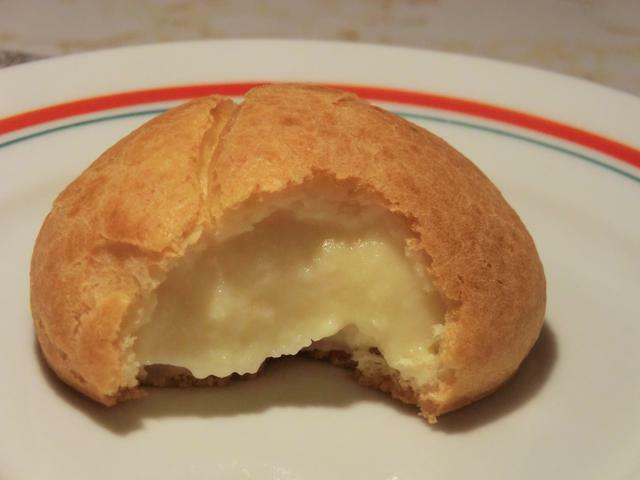 And, of course, dessert … cream puffs. I didn’t bother with any icing sugar etc. Just dived in. 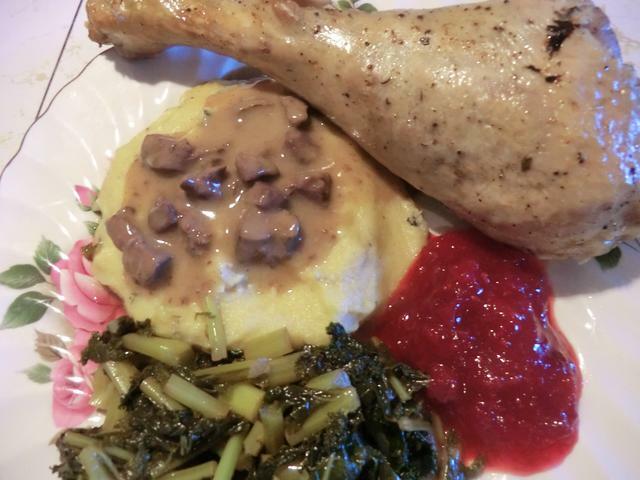 PS: I made cranberry sauce but forgot to serve it with the meal. I’ll show you what I’m going to do with the rest of it later. 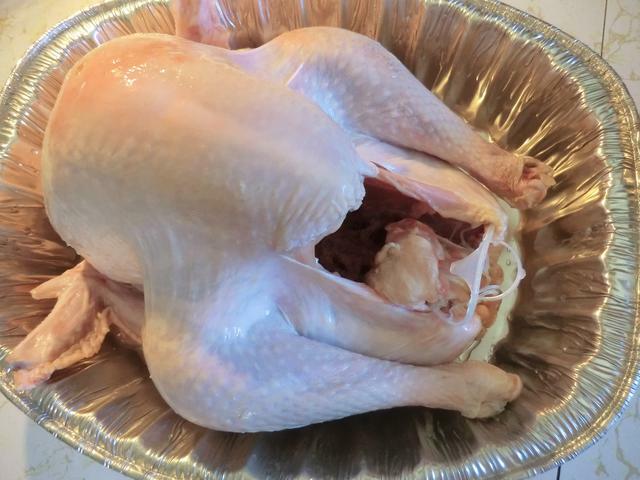 Turkey is something that I only cook a couple of times a year. 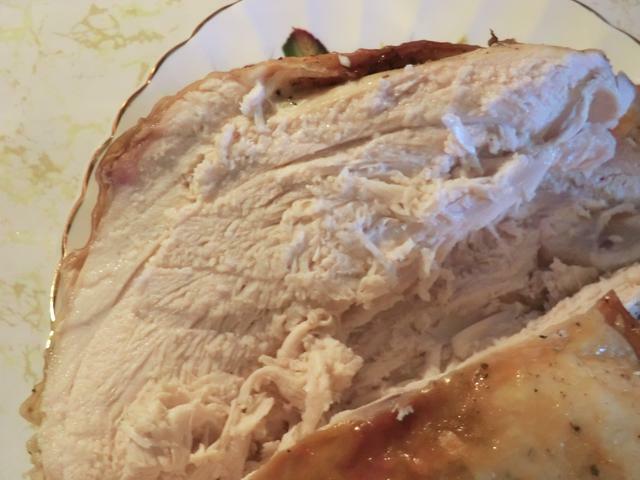 Not because I don’t like it but because I buy a frozen 12-14 lb turkey, when it’s on sale, and for a single person, using up leftovers is even more challenging than for small families since I have to cook it all at once. 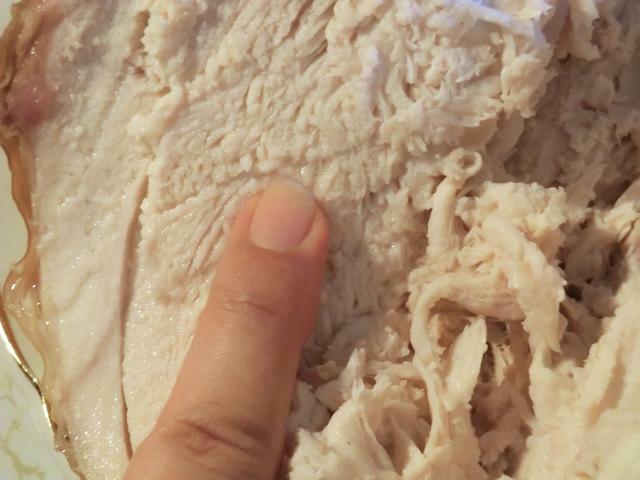 Spatch-cocking is a good way to cut down on uneven turkey roasting. 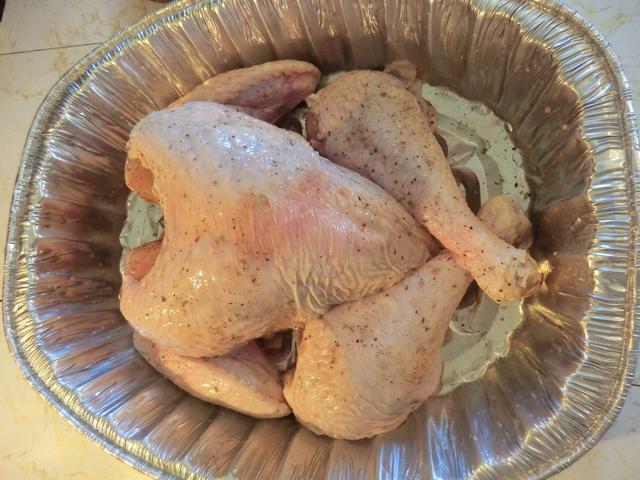 And removing the legs means when the breast is done, you can take it out of the oven, cover with foil and continue roasting the legs until they’re done. 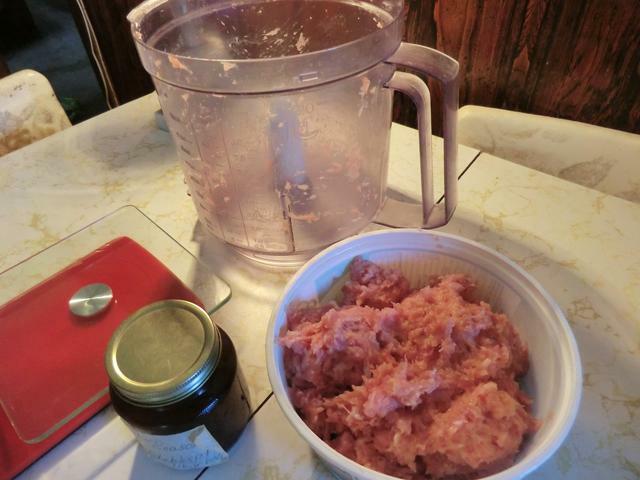 Turkey Tacos – Half a diced onion was sauteed in oil and/or schmaltz (chicken fat), then the ground turkey meat (~710 gm) was added and cooked until no longer pink. I added 1 tbsp of taco seasoning for every 454 g of meat and cooked it all for a few more minutes. 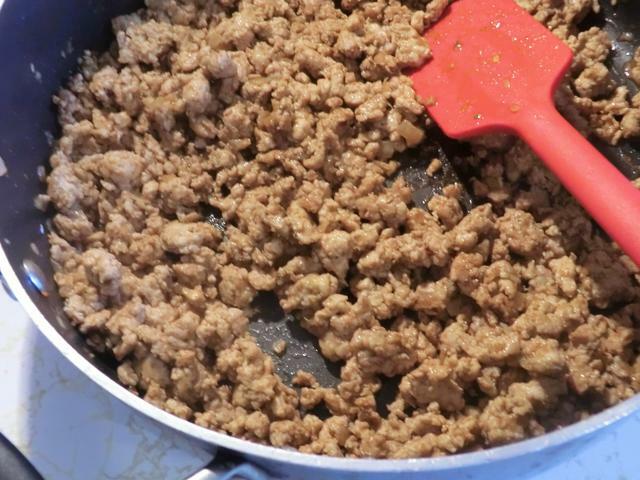 The cooked meat mixture can be used for taco bowls or lettuce wraps. Tocană or What’s in a Name? 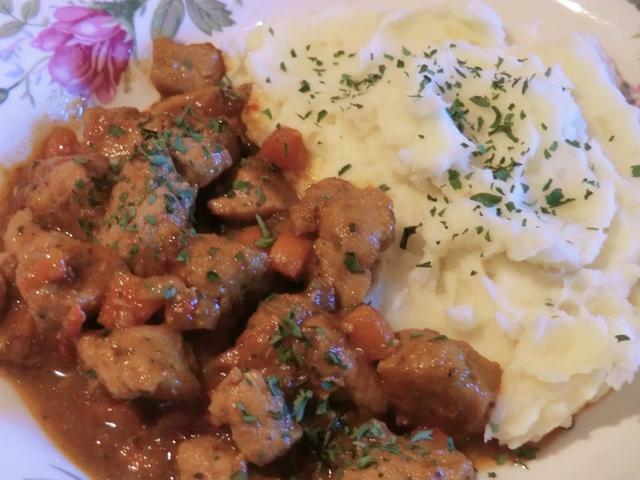 I remember my mom making a lot of stews when I was growing up because she could use ‘filler’ vegetables, especially potatoes, to stretch a small amount of meat to feed a hungry family of four, with lots of leftovers. Tocană was the word she used instead of stew, however, because, like many immigrants, she interspersed her English with a lot of Romanian words. I was never quite sure what they meant, and, sadly, didn’t always ask, but I managed to figure out the meaning of most of the words, in the context in which they were used. PS: ‘Zamaă (zeamă)‘ was another tricky Romanian word, which meant ‘soup’, but seemed stew-like to me. Amusingly, in later years, the word ‘soupă’ became part of our family lexicon. And then there were ‘ciorbă’ and ‘bors’ which are types of soups. I may go into that in a future post. 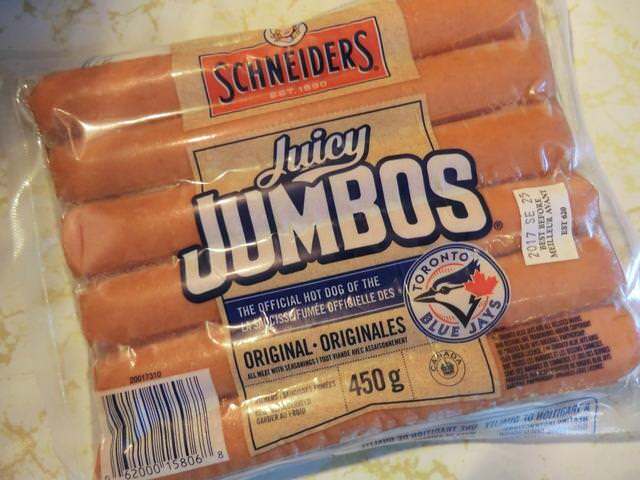 When my brother married a Canadian-born Hungarian girl, she brought other food words into our conversations. Some were very familiar. 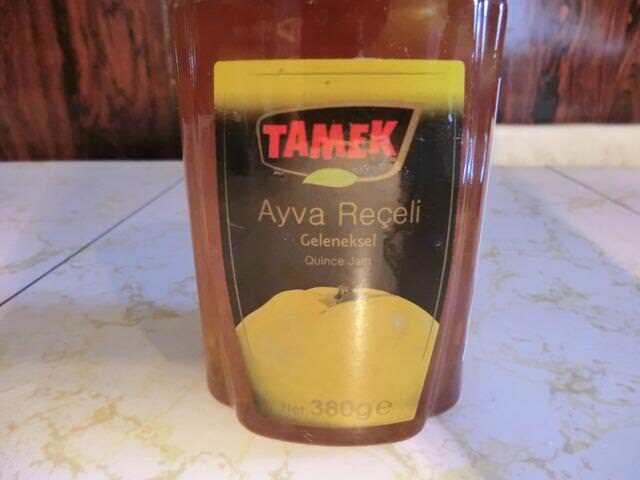 Like ‘tokány’ which was similar enough to the Romanian word for a stew. But ‘porkolt‘ also refers to a stew. As does ‘paprikash’. 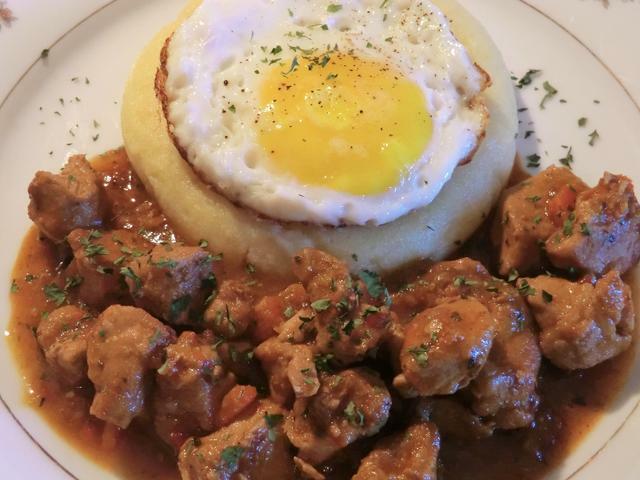 Porkolt, paprikash, and tokany … makes your head spin, doesn’t it? And then there’s ‘goulash’ which can be a soup OR a stew. But I won’t get into that in this post. Romanian cooking terms almost seem easy in comparison. At least to me, they do. 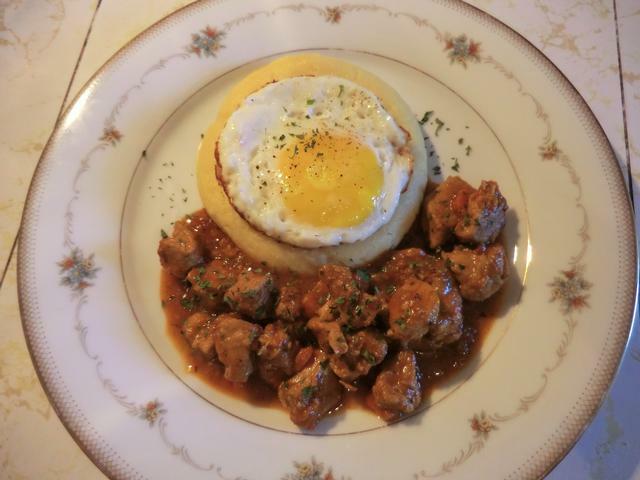 Anyway, getting back to the tocană, I debated on making a chicken (pui/gaina refering to a chicken/hen) or even a mushroom stew, but I settled for what I felt most comfortable cooking … a pork stew or ‘tocană cu carne de porc’. One final language aside. Tocană is what you get in a restaurant. Tocăniță (the diminutive form, like saying ‘little tocană’) is what your mom makes at home … with love. 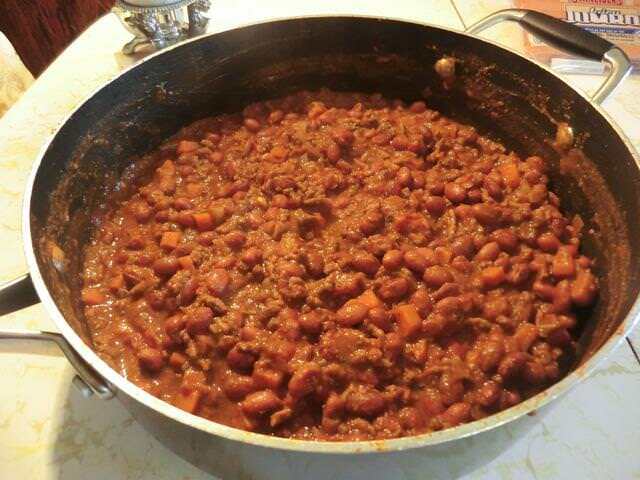 ** This dish was often made in the winter when fresh vegetables weren’t available. Frugal housewives would dry and coarsely grind up various vegetables and use them in their soups and stews. If you have access to a dry vegetable soup mix, use 1-2 tsp, I used the carrots and sweet peppers instead. 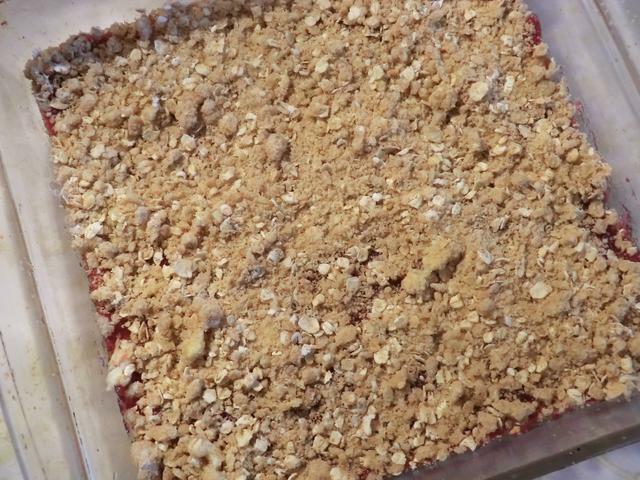 Cut up the pork meat into 1/2-3/4 inch cubes. In a dutch oven, over medium-high heat, render the fat and use it to fry the pork, for about 10 minutes or until it starts to brown. 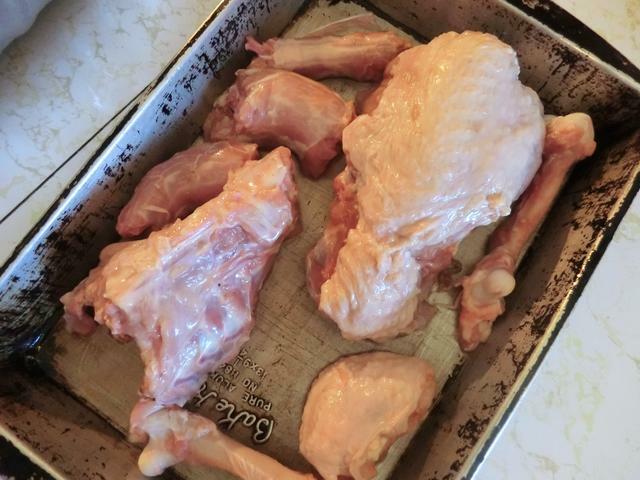 Remove the meat to a bowl and reserve. Reduce the heat to medium, add the onion and cook until it softens, about 10 minutes. Add the carrots and sweet peppers and the garlic and cook for a few more minutes. Add the thyme, sweet pepper paste and the hot pepper paste and stir into the vegetables. Cook for another minute or so to cook the ‘raw’ taste out of the spices and liven up the herbs. Add the chicken stock and use it to scrape up the fond (browned bits of flavour) on the bottom of the dutch oven. Add the browned pork, salt and pepper and bring the mixture to a boil. 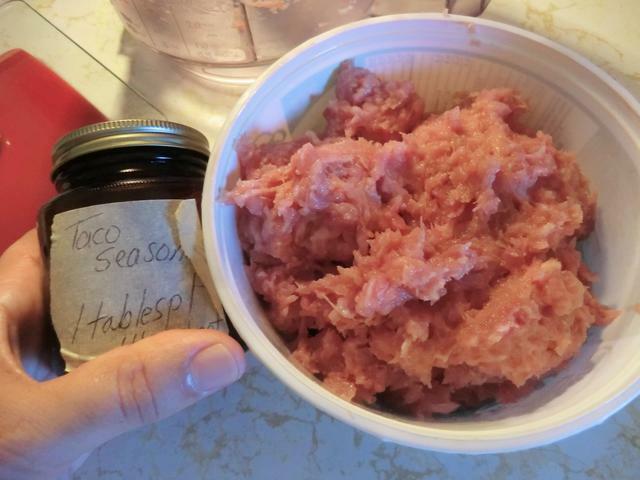 Your meat and vegetables should be just barely covered by liquid. If needed add up to a cup of water, cover with the lid and cook for about 30 minutes at medium heat. Check the meat for tenderness. 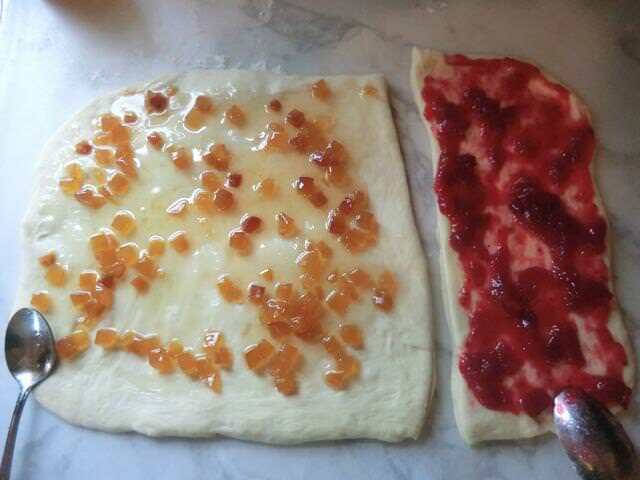 It should fall apart and the mixture should not be dry but there should be a ‘sauce’ surrounding the meat and vegetables. If needed add some more water and continue cooking the pork with the lid on. If using potatoes, add the cubed potatoes at this point, another cup of water or as needed to cover the potatoes, and about 1/2 tsp more salt, put the lid back on and cook for an additional 30 minutes. Taste for seasoning. 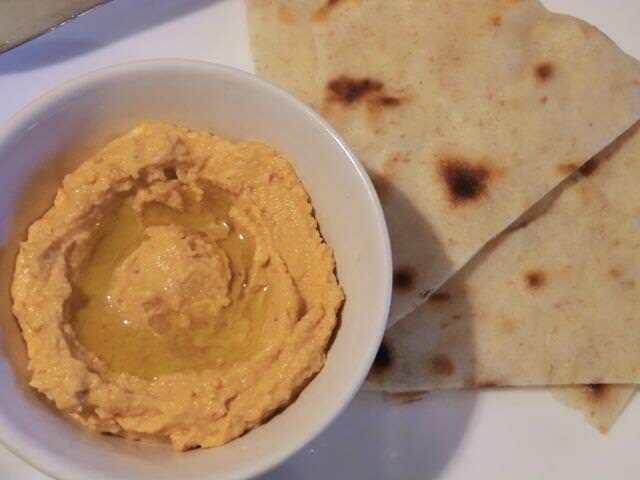 If you like a bit more heat, add more hot pepper paste. When ready, sprinkle fresh chopped parsley over the top of the stew. 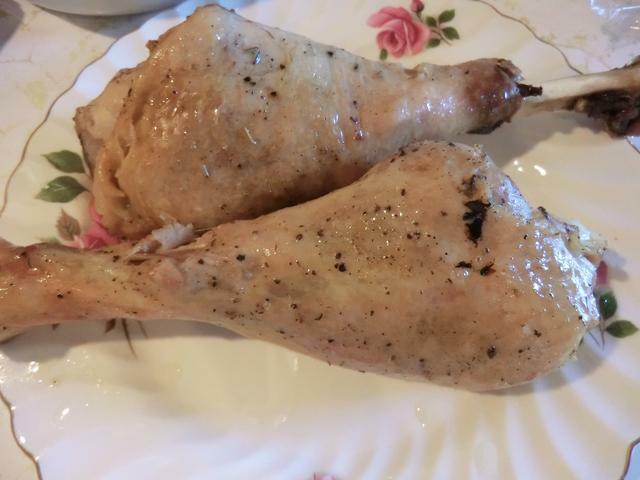 Serve with cornmeal mush/polenta or mashed potatoes (mamaligă sau piure de cartofi) if not using potatoes in the stew. 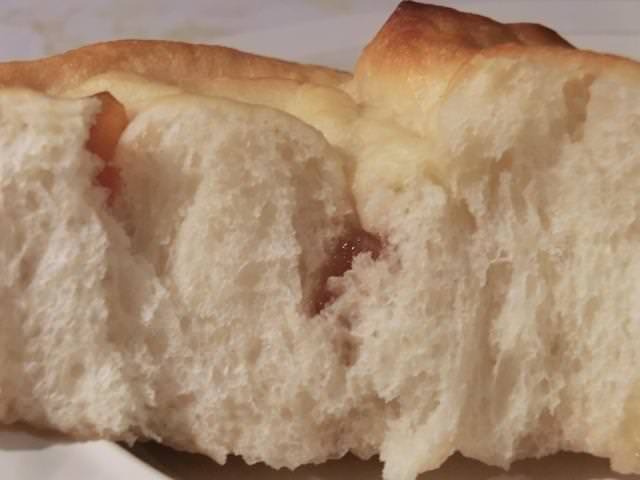 Slices of a crusty bread are a tasty accompaniment to sop up any extra juices. 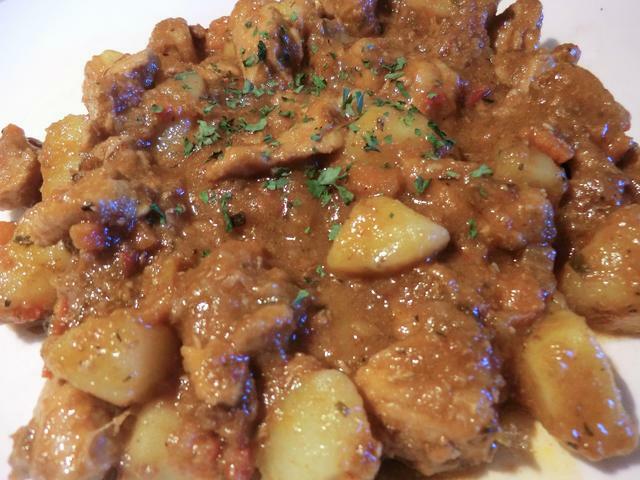 For a one bowl meal, stir diced boiled potatoes into your finished pork stew. 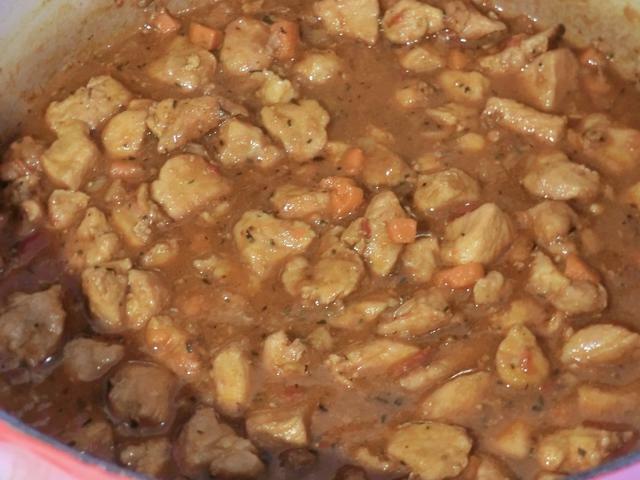 This gives you the option of serving the stew itself in various ways and stew without the potatoes freeze better as the thawed potatoes don’t get too mealy. I wanted to make a white sandwich bread and picked this sour cream white bread recipe found on “The Spruce” web site for something that was a bit different. 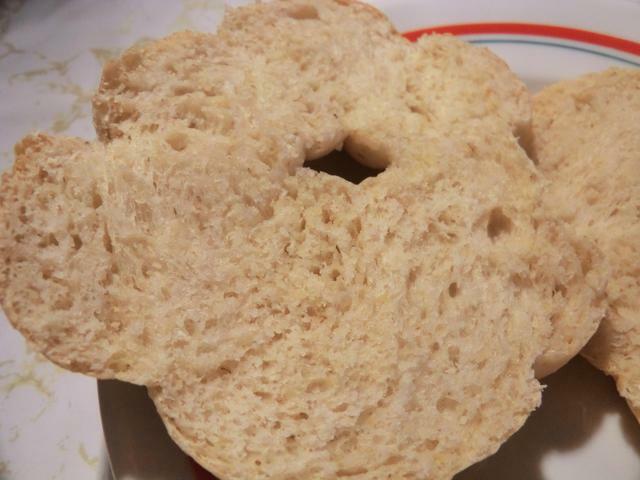 Sour cream replaces the egg, milk and butter found in many enriched bread recipes. 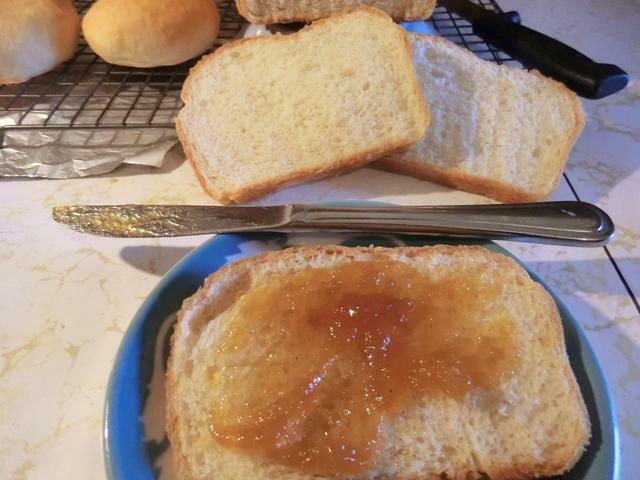 The resulting bread was nice and fluffy and tasted great either served as an accompaniment to a bowl of pasta or with jam as a snack. 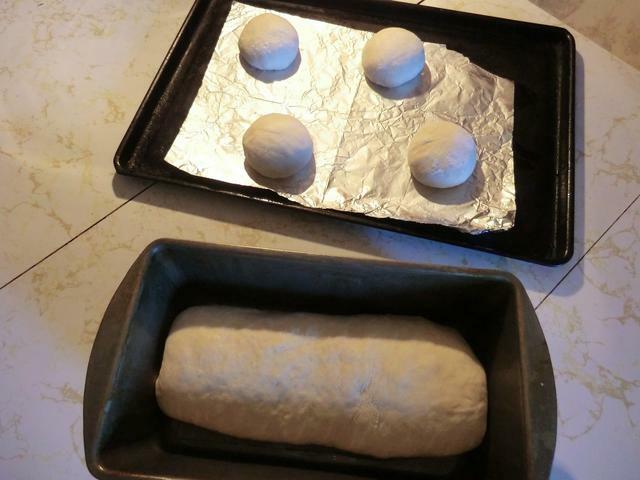 The bread is meant to be baked in a 9 inch by 5 inch loaf pan but the amount of dough I had (820 gm) seemed a bit excessive to me, so I made four (54 gm) buns with part of it. 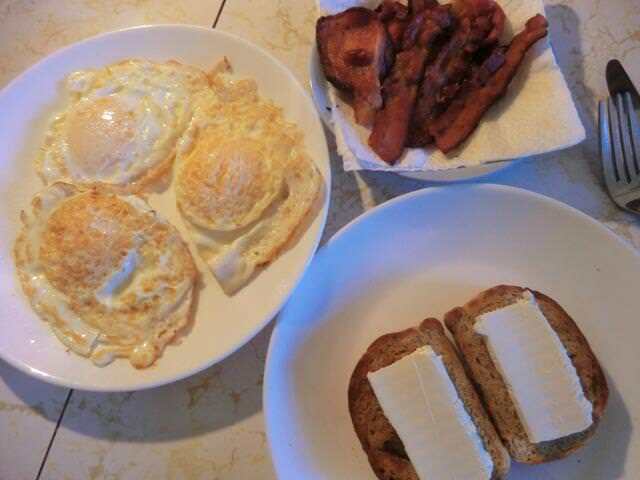 I didn’t bother using the egg white glaze suggested to give the loaf a glossy finish, though I did brush melted butter on the buns. The dough rose beautifully during the bulk proofing in the oven with the light on, taking only one hour, and though my loaf shaping was a bit lacking, the final proofing took only 45 minutes and baked up golden brown. 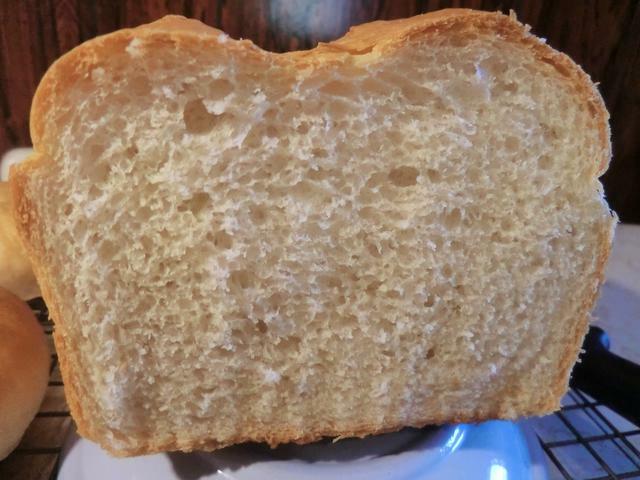 For some reason, I decided to slash the top of the loaf before baking but, obviously, I didn’t put my heart into the matter as the cut turned out pretty anemic. 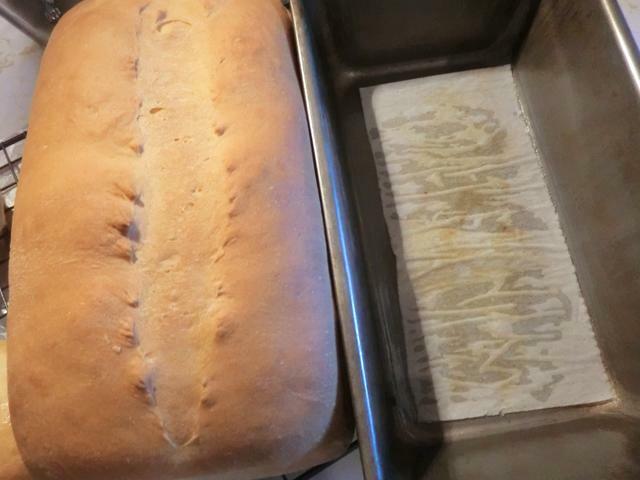 The loaf pan was oiled and lined with a small sheet of parchment paper which made removing the finished loaf a breeze. 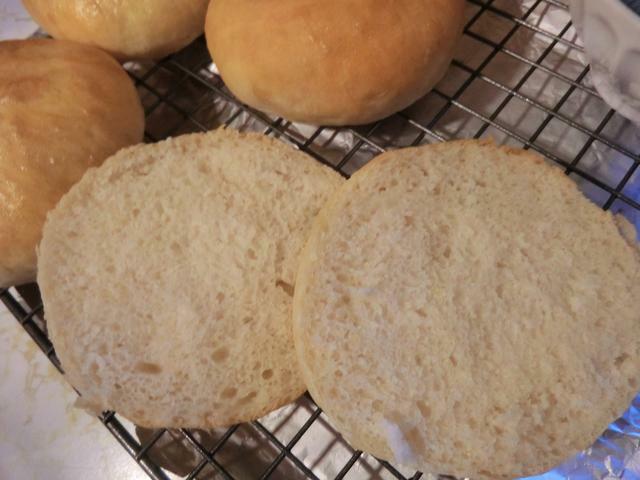 I didn’t want my buns to round up too much during proofing so I pressed them down after 15 min, as in my earlier hamburger buns, and let them continue proofing for another 30 minutes. 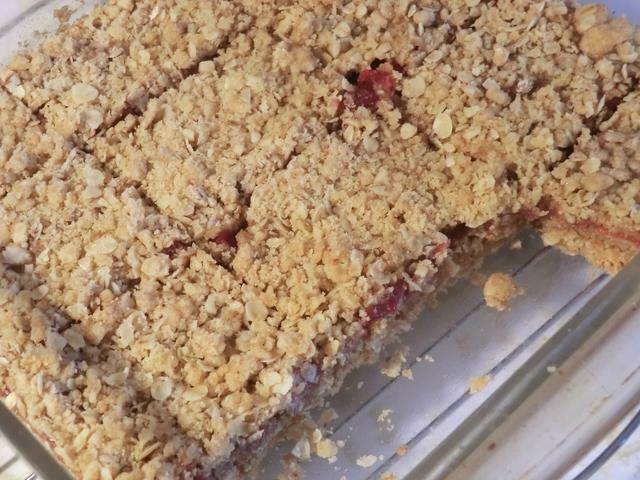 I found the oven spring a bit disappointing though the crumb was nice. 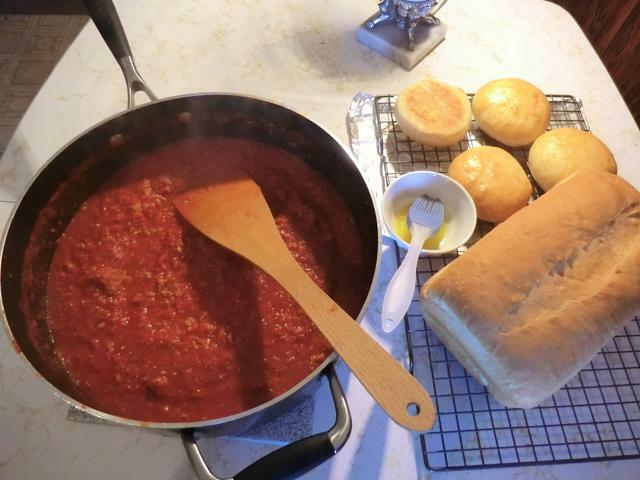 While my bread was proofing, I made a quick batch of spaghetti sauce with a couple of 28 oz cans of whole tomatoes (with herbs and spices) and 4 hot Italian sausages. 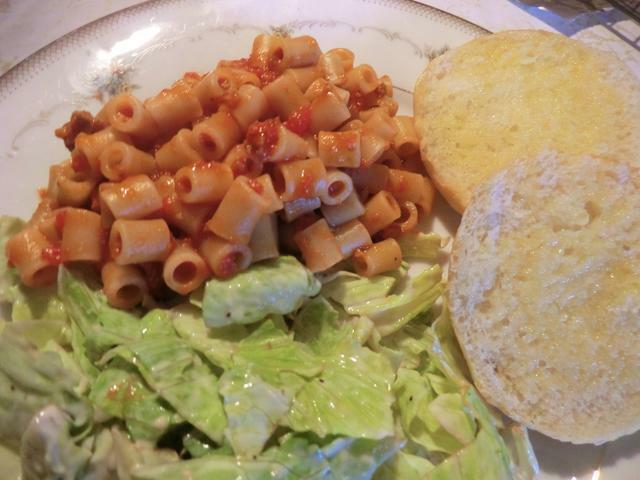 I doctored the sauce with some additional dried Italian herbs and hot pepper flakes and served them over ditali pasta. There was enough sauce for 2 two serving containers to be tucked away in the freezer for later. All in all, a very successful cooking day.